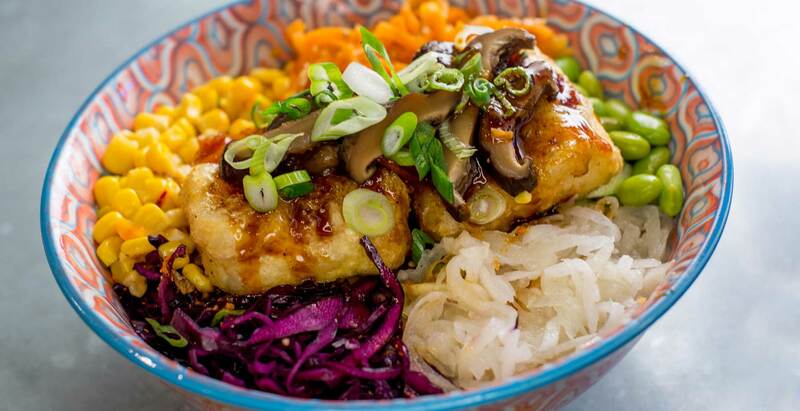 There's been an explosion of delicious new Asian restaurants in Downtown Brooklyn. From fancy Japanese cocktails for date nights, take out after a long day, or dumplings that are good any time of the day, we've got places for every occasion. Newcomer to the booming Downtown Brooklyn food scene is Han Dynasty - one of only two standalone restaurants in the DeKalb Market Hall. If you’re in the mood for authentic Szechuan cuisine, look no further than this Philadelphia export. Signature Szechuan peppers give a classic spice and flavor, but all palates are accommodated with a variety of noodle dishes, the best scallion pancakes in NYC, and more. 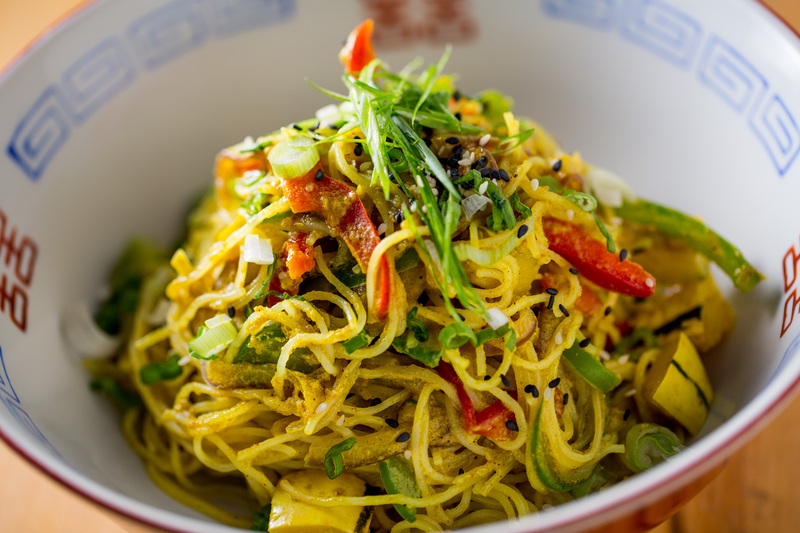 A new addition to Gotham Market @ The Ashland, the chef-driven menu at Hey Hey Canteen highlights the best of Asian comfort food with an emphasis on fresh, high quality ingredients. And if you’re looking for fun party ideas, they offer “Dumpling Rolling” events for all ages. The Wei’s mission is clear: broaden the horizons of Chinese food and make authentic cuisine accessible to everyone. Now both a Zagat and New York Times rated restaurant, The Wei is here in Downtown Brooklyn with a chef-crafted menu prepared fresh every day. 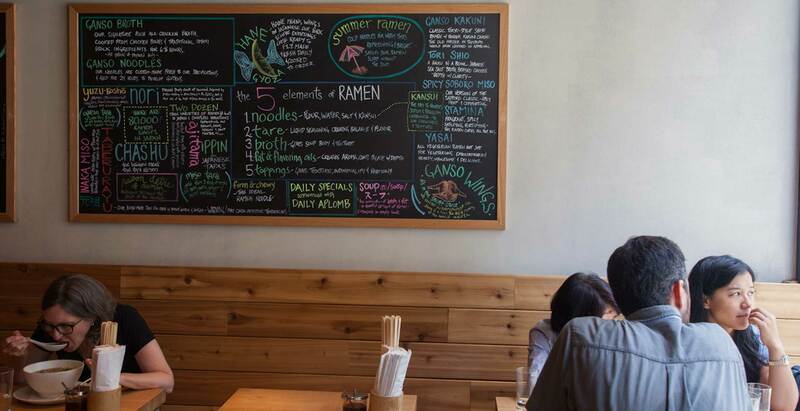 For authentic ramen, head to Ganso Ramen. With acclaim from the likes of The New York Times, Grub Street, Zagat, and TimeOut New York, amongst others, Ganso Ramen’s Japanese comfort food menu is top notch. Don’t forget to check their Facebook page for daily and seasonal specials! Want a taste of South Asian on your lunch break? Govinda’s Vegetarian Lunch serves a vegetarian Indian lunch buffet at the International Society for Krishna Consciousness. Vegetarian, vegan, and gluten-free options are all served cafeteria-style Mondays through Fridays, with the main course rotating daily, including crowd favorite ‘Eggplant Thursdays’. Get a taste of Shanghai right here in Downtown Brooklyn. Yaso Tangbao brings authentic Shanghai street food to the neighborhood, so you can get your dumpling fix any day of the week. Stop by this casual spot on Lawrence Street for soup dumplings, baos, drunken chicken, pork meatballs, noodle soups, and more. Trust us, your taste buds will thank you. Satisfy your craving for teriyaki, sushi and sashimi, along with other Japanese favorites and pair them with Jun Shukudo’s extensive drink menu that includes premium sakis, wines, and beer. This Japanese restaurant has the perfect ambiance, whether you’re looking for a quick lunch or a fancy dinner out. City Point’s DeKalb Market Hall currently offers three market options for Asian food: Bunker (Vietnamese), Bunsmith (Korean-fusion), and Jianbing Company (Chinese). From steamed buns to Pho, this robust range ensures every hungry customer gets a great choice of Asian flavors.